The perfect alliance of the Tissot T-Race and the Tissot Racing-Touch, the Tissot T-Race Touch has everything the ultimate contemporary sport watch must have. Eleven touch-activated functions tick all your boxes, including a chronograph that records split (intermediate) and add (partial) times. The logbook keeps check of different lap times, and the compass will keep you on course. 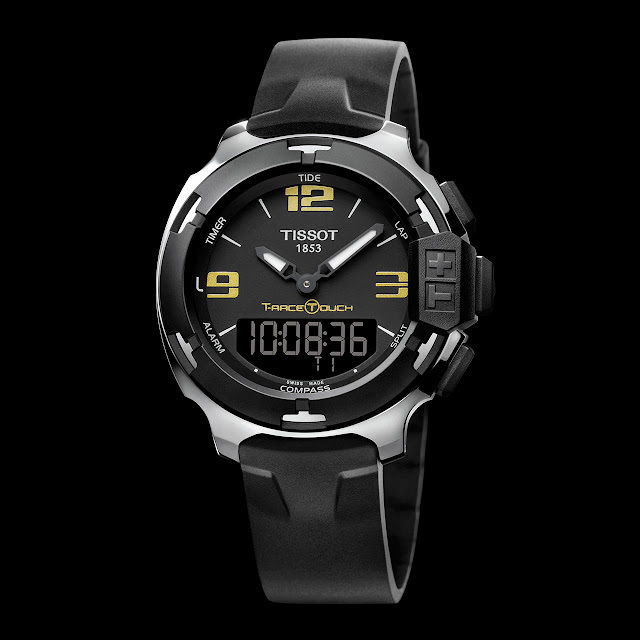 A watch whose dynamic, athletic attitude will appeal to anyone in search of the action!